Rechargeable hearing aids have certainly caught the imagination of hearing aid users and the Big Six hearing aid manufacturers have responded. Phonak’s Audéo B-R hearing aids were the first to be released quickly to be followed by Sivantos Signia Cellion Primax hearing aids. 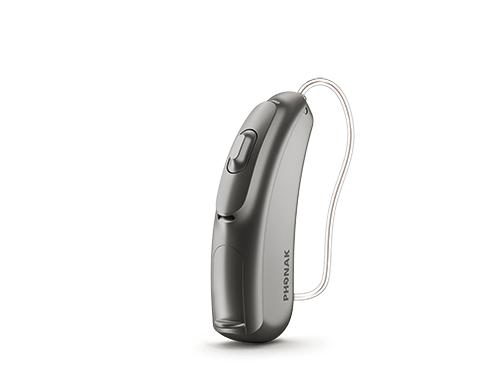 They were the first and they used an integrated lithium-ion rechargeable battery in the hearing aid’s sealed body. They are still the only hearing aid brands offering Lithium-Ion power packs. Everyone else is using Silver-Zinc systems from a company called Z-Power. There will be pros and cons to the different types of rechargeable hearing aids which you can read here. Let's take a look at what is available from the big hearing aid brands. 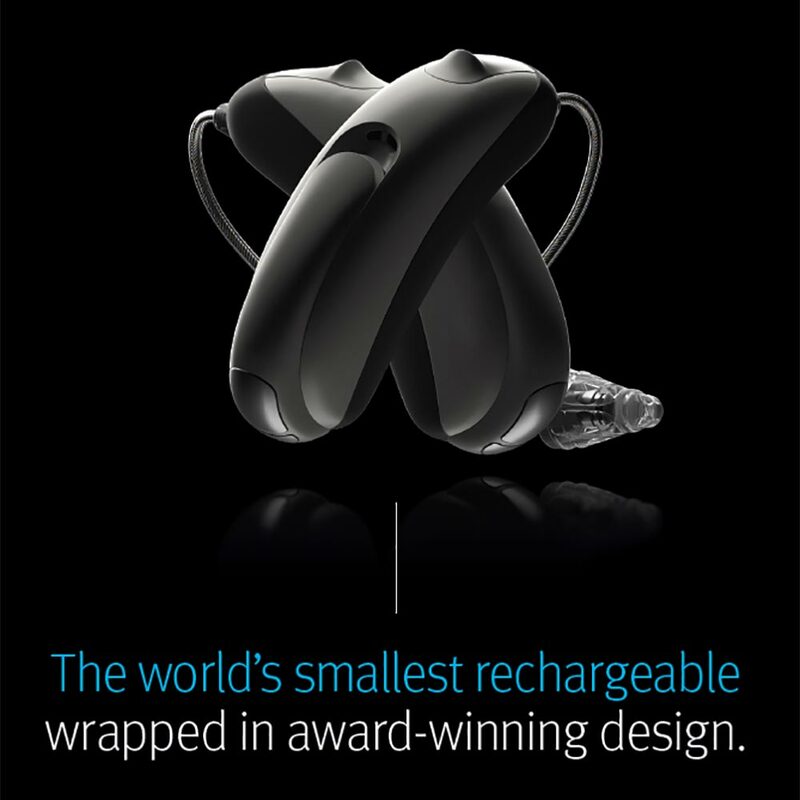 Widex announced the launch of a rechargeable version of their popular Beyond Made For iPhone hearing aids. 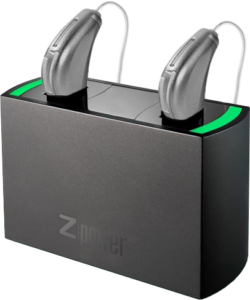 The hearing aids will use the Z-Power system. The new rechargeable Beyond will be named the Beyond Z and it is expected to be available in Ireland in the first quarter of 2018. The Z-Power system is a good choice for Widex because it will give a huge amount of battery life to even the most prolific phone user and music streamer. It should offer a full day of use no matter how much you stream audio. In an announcement reported in April, Oticon announced the expansion of the models on the Opn range which included a rechargeable model. However, the rechargeable hearing aids have not been available to order in Europe up to now. Oticon has now launched them in the UK and Ireland and they will be available from November 20th. Oticon has also used the Z-Power Silver-Zinc system so we expect it to offer a suitable amount of power to last a whole day for even the heaviest users of the streaming features. This is a wireless slimline Rechargeable 'Mini-Receiver-In-Ear (miniRITE)' hearing aid using a rechargeable Silver Zinc 312 battery (can also use disposable hearing aid batteries). All Oticon Opn miniRITE hearing aids sold since the introduction last year and going forward can be retrofitted to be rechargeable. They are so small they are practically invisible and come in a range of shades and bright colours. Four levels of receiver power allowing hearing losses from mild to severe to profound to be fitted with a discreet solution. The internet-enabled Oticon Opn comes with a number of additional features because it can connect to devices via the internet and Bluetooth. The hearing aids will connect directly to your Smartphone so you can make phone calls and listen to music without any intermediate streaming device. 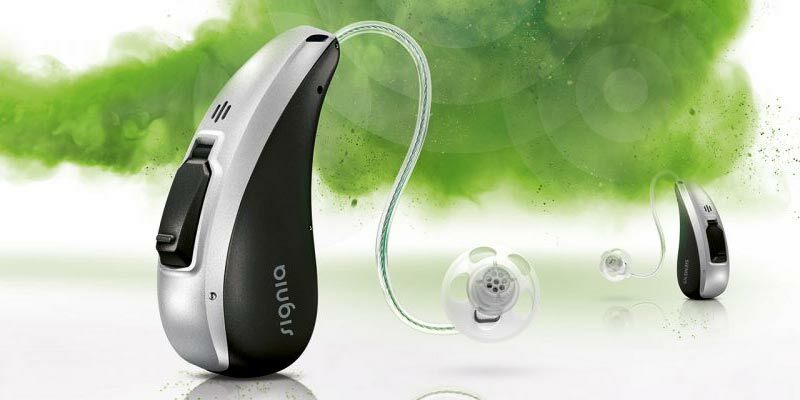 The Audeo Belong hearing device range was the first of the Lithium-ion devices to be released. 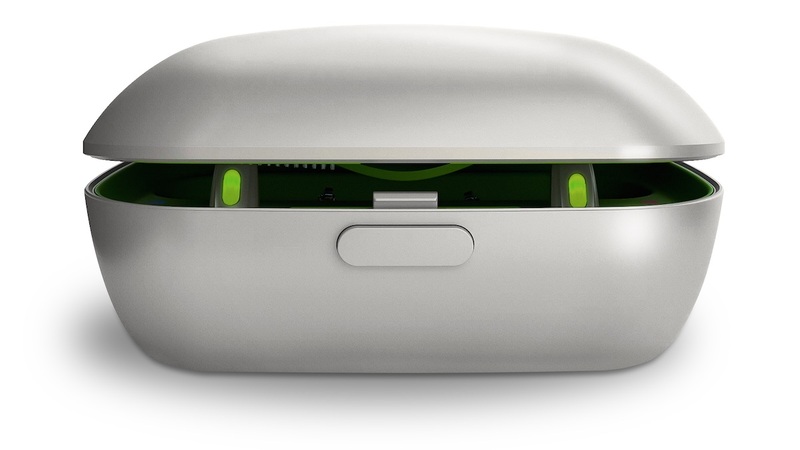 It is also the very first Phonak hearing device range with a rechargeable option. 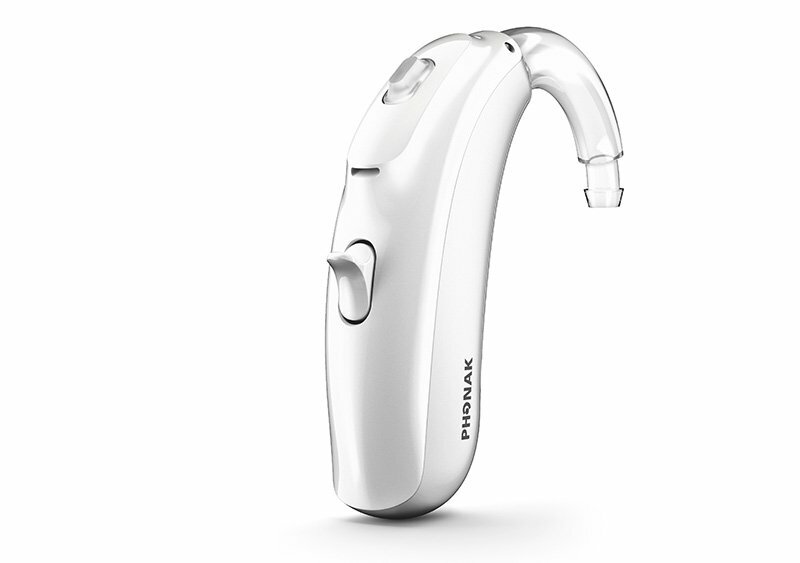 However, Phonak offered the option as part of their new range of Belong hearing aids which came with an upgraded operating system, the latest version of Phonak's SoundRecover2 and new microphones and programme buttons. 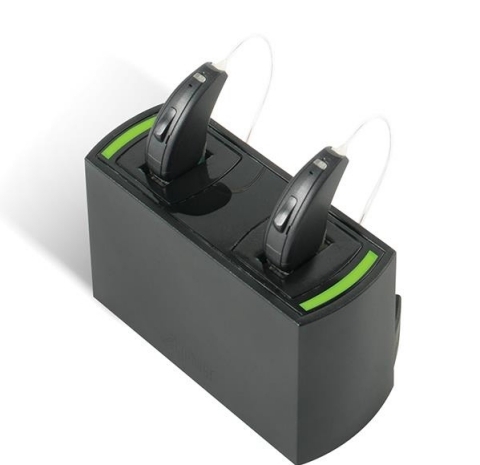 Resound have announced the introduction of a new rechargeable model in the LiNX 3D range. They are the latest hearing aid manufacturer to introduce these popular options to their line up. 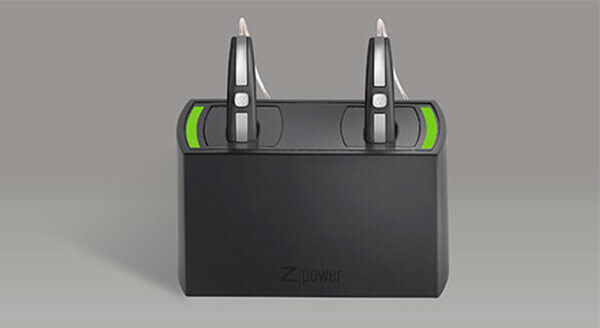 They have also gone down the route of using the Z-Power Silver-Zinc battery technology. "Wearers simply charge the hearing instrument overnight, for just 5 – 7 hours, and the hearing instrument is ready to perform for a full 24 hours, including 90 minutes of streaming or 16 hours of continuous streaming. Because hearing happens around the clock, Stride M R offers wearers the flexibility to swap rechargeable battery cells with traditional zinc-air batteries at any time, ensuring patients will never run out of charge." 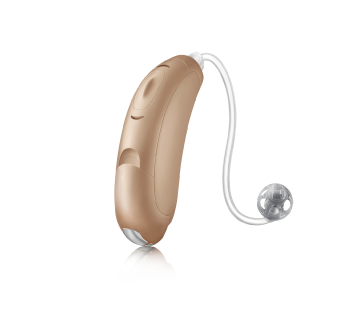 The Cellion is a Receiver in Canal hearing aid and it can be used with a variety of receivers which will allow them to cover hearing losses from mild to profound. Signia have three levels of technology, and the devices are available in all levels of technology. The devices are also rated to ip68 which is for all intent and purpose almost waterproof. Again, I would expect Signia to offer Lithium-ion powered BTE devices this year as well.